We’re delighted that our clients are able to say some nice things about us and we say “thank you” to all. Double Fox, thank you so much! I love the new website. It was so much easier working with you on it and I will recommend you to anyone in need of a site. Thanks again! Working with Lori has been a pleasure. She is patient, smart, and goes the extra mile to make sure your website is fabulous! The launch of a website by Double Fox Websites for the promotion of my work as an author of over twenty crime fiction novels has been an amazing and exciting experience which I can unhesitatingly highly recommend to any author considering a website for promoting their work, fiction or otherwise. Lori Martin’s expertise in the layout and overall design of my website was perfect in every respect. Her intuitive understanding of exactly what was required to highlight and promote my work to its greatest advantage has resulted in a website that I am truly proud to say is mine. I cannot thank her enough for the creative thought and her painstaking attention to the smallest of details that have gone into this truly wonderful website that she has built for me, and also for the amazing patience she has shown during what has been a totally new learning experience for me. 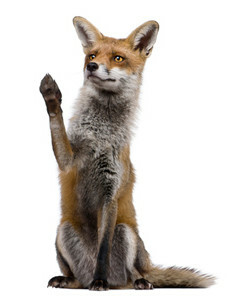 I am especially delighted and proud to be able to say that I am a Double Fox Websites client and I have absolutely no doubt that anyone considering a website to promote their business will be as impressed as I have been with Lori Martin’s remarkable ability to exceed a client’s every expectation. Thank you, Double Fox, and thank you, Lori. In short, Quality Magic Sites and their parent company Double Fox Websites build projects with MODERN entrepreneurs in mind. The work and functionality they deliver is battle-tested, stable, analytically friendly and extremely secure. I wish I would have discovered Double Fox Websites a decade ago… I might already be retired!!! I would like to thank you for the successful launch of my new Website. From the customer input that I have been given, it is a huge success for me and my Company. I found the development phase to be refreshingly easy. I appreciate all of the tips you gave which we incorporated into the new site. Also some of the expense saving ideas you encouraged including web mail and the newsletter. I could not be happier! The product itself its gorgeous and your ability to transfer data from my old site prior to startup made everything so easy. The launch itself was without issue which means your test phase of the new site was right on target. Again I could not be happier with the product or service. Sales? They have exploded since launching the new site with the first month already a record sales month and only half of it in! Thanks so much for your expertise and service. I look forward to a very long relationship. Double Fox far exceeds our expectations. We requested a refresh of our existing site. They not only updated our site design but also added features and enhancements, bringing our site to life. It became apparent in the beginning that Lori has expertise far beyond web design. Her marketing skills have transferred into needed changes to our site and her honesty and direct approach are appreciated. Lori’s ideas and creativity pair well with her technical knowledge and ability. At every turn, she is able to keep up with our never ending demands and the end result – a site that successfully tells our story. We continue to work with Double Fox and changes are still being made. Turnaround time and ideas are just as responsive as before the site went live. Lori and the Double Fox team do not disappoint! Lori just finished my second website to complete a major rebranding of my company that included an e-commerce site for online product sales, a food and recipe blog and an acne analysis quiz. I’ll be the first to admit that I am a bit of a perfectionist, and Lori responded with each of my requests with skill, patience, and grace. The finished website is even better than I expected (which is saying a lot, since I expect the moon!). If you need a rockin’ website that will make your competitors jealous, hire Lori Martin at Doublefox websites. I am very proud to have been chosen to test and use the new Double Fox Websites system. The staff at Double Fox are the most capable and creative people I have ever had the pleasure to work with. Their knowledge and dedication far exceeded my expectations and their final product is pure genius. I recommend Double Fox with the highest possible praises, without any hesitation what-so-ever. Lori has been so helpful to work with this past year! All I can do is say “thank you” for holding my hand through this process and working with me like you did. You helped reduce my anxiety of the process and made it seamless from top to bottom. Thanks for your attention to detail and the ease it is to work with you! Your expertise was very valuable to me and knowledge of your industry! Thanks again for all you did for my business! The site is beautiful! When we began our journey to create a new website, I knew it was going to be a challenge. Dr. Rhoad is a perfectionist who wanted to be involved in all aspects of development. We were running a busy medical practice and finding time to spend on the website seemed impossible. But Lori remained encouraging, patient and professional through it all. We now have a site that we are proud of and we trust that Lori will help us keep it looking and working great. I would highly recommend Double Fox to anyone. After doing an amazing job with my wife’s website, I didn’t think twice about using Lori’s skills to develop mine. Even so, my very high expectations were eclipsed. I warned her from the start about my hesitations, after all, I’ve been in business for 25 years without a web presence. She guided me step by step, inputting her opinion without being overbearing. In fact, that was the most amazing part. Through the interview process and phone conversations, Lori was able to truly grasp the message I wanted even though I couldn’t verbalize it to her. There are plenty of website designers out there but the extras that Lori brings set her apart from the rest. And all of this at a very reasonable price. Lori Martin and Double Fox Websites truly did the impossible! The Double Fox team seamlessly transitioned tens of thousands of products, reviews, and data points from our old system to our new site. They took what was a terrifying idea and made it happen like magic – all the while guiding us through the process to put us at complete ease. My demands, which were substantial, were always met or exceeded with a rapid, friendly response. I’m not just satisfied with the work they performed – I’m absolutely delighted! I have been involved in e-commerce for nearly two decades and I would recommend Double Fox Websites for anyone looking to create a powerful and dynamic web presence. Lori at Double Fox Websites has been an invaluable, creative and affordable resource in generating a website for 2303 Designs. We didn’t know how to begin setting up a website ourselves when we first formed our business, but we did understand the importance of a professional presence in today’s visual market place. We understood a great website provides a competitive edge in today’s market, and is an ongoing advertisement of a company’s capabilities. Lori brainstormed with us on what image we wanted to portray. She took the time to educate us on format and trendy suggestions for a user friendly, intuitive, attention grabbing site. She patiently guided us in the process of gathering the necessary content, photos etc… to portray ourselves as a viable entity in our industry. Thanks to Lori and Double Fox Websites, we don’t look like the tech dummies we really are, and the compliments on our site and our work are already flowing within a week’s time of going Live! We strongly recommend Double Fox for all set up and maintenance of your company’s website. My experience with Lori Martin and Double Fox Websites has been fantastic!! Lori stayed within my budget and was amazing with her patience and understanding of the evolving process on my website. I would recommend her without reservation!! Rarely in life does one get what one pays for, YET ALONE MUCH MORE! From Lori At Double Fox Websites I received not just a world class website but a skill set personally taught to me by Lori that allows me to not just handle my website on a day to day basis but to grow it to new heights. Thus a personal THANK YOU is extended from BUMA at House of Magic to Lori At Double Fox Websites, not just for her professionalism and generosity, but for her caring and the way in which she handles each of her customers’ individual needs. Lori really is a very special person and the value received from and with a Double Fox Websites is beyond compare! I can’t say enough good things about Lori Martin and Double Fox Websites. I’m certain that no other web designer would have had the patience, enthusiasm, and knowledge base to hold my hand while completing this gorgeous, first-class website. Lori definitely went over and above the “call of duty,” helping with suggestions for getting my DBA, picking out my domain name, choosing the best computer program for my type of business, suggestions for incorporating social media, and countless other ways that Lori helped me get the dream of my new business off the ground. Double Fox Websites is as good as it gets, and I wholeheartedly recommend the company to anyone needing an awesome web designer or website monitoring! I have been thrilled with the service that Double Fox Websites provides. They were there to support my project with unparalleled professionalism from concept to completion and beyond. They made the job affordable with a great payment plan as well. The best part was the fact that they trained my assistant to update the web site herself. I cannot recommend Double Fox Websites highly enough for crystal clear communication, great prices, and a professional yet user friendly product. Searching for a reliable, competent webmaster is a scary thing for most people, tantamount to taking your car to a mechanic. Calling larger companies usually means higher prices due to their higher overhead. With Double Fox Websites you CAN get the same high-quality at a fraction of the price. They can do it because they are in control of their growth! Double Fox Websites honestly kept me thinking – “this is too good to be true!” They exceeded in every aspect my “wish list” of criteria. They implemented everything we needed, were patient in the training phase and the system is so user-friendly yet loaded with powerful marketing tools that help you personalize and stand out in any industry. Attention to details, true professionalism, caring and understanding, timeliness, inspirational and devoted. These phrases are just some of the verbiage that describes the team at Double Fox Websites. Consulting and server management is provided by DFW and I couldn’t be happier and more secure in my choice of choosing them! They have added to my life by eliminating the many stresses that go hand in hand with living in the online world. Double Fox has done a tremendous job with our new site. The design is exactly what we were looking for. It’s bold, clean, and easy to navigate. They were very responsive to my requests and they were quick to deliver results. Their concern for what I needed and the best way to implement it was evident throughout the entire process. I can’t say enough great things about the experience. Thank a million to the entire Double Fox team! My “Feats Of Wonder” site is absolutely fabulous; everything I was hoping for. And getting it done was completely pain-free. Double Fox began with a vision for me to tweak, but no tweaking was necessary. We did add a few things, which Double Fox made easy and even fun! The results are beyond what I had hoped for, and at such a reasonable price. From the very beginning, I felt as though I was dealing with a true professional, and that opinion was reinforced over and over again throughout the process, and continues with every post-development contact I have had. I can’t imagine a better source for the small- to medium-sized outfit who needs a top-notch web site. Thanks to Double Fox. You’re double-good! Double Fox Websites is a professional, organized, intelligent and easy to work with group. They are punctual, honest, hardworking and teaming with ideas. Their websites are user friendly for both the administrator and the general public. It has been a pleasure working with them.